Elegance, power and unmistakable style: these are the principal characteristics of this Aicon 85 Fly, the flagship of Aicon Yachts. This elegant yacht has flowing lines that effortlessly draw the eye, showing the fluidity and the dynamism of the design. United Yacht Sales New Jersey would love to guide you through a personal showing of this 85' Aicon 85 2015. 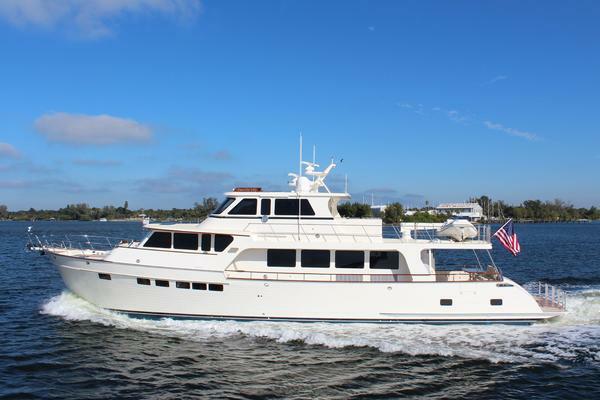 This yacht for sale is located in Miami , Florida and priced at $3,199,000. For a showing please contact us by filling out the form on this page and we will get back to you shortly! Elegance, power and unmistakable style: these are the principal characteristics of this Aicon 85 Fly, the flagship of Aicon Yachts. This elegant yacht has flowing lines that effortlessly draw the eye, showing the fluidity and the dynamism of the design. The design of the yacht highlights the volume of the airy, geometric spaces that create a harmonious balance between the exterior and the interior resulting in a unique environment, notable for its elegance and its style. The stylish look features details such as alarge, rounded portholes or the large saloon window that brings you close to the sea.